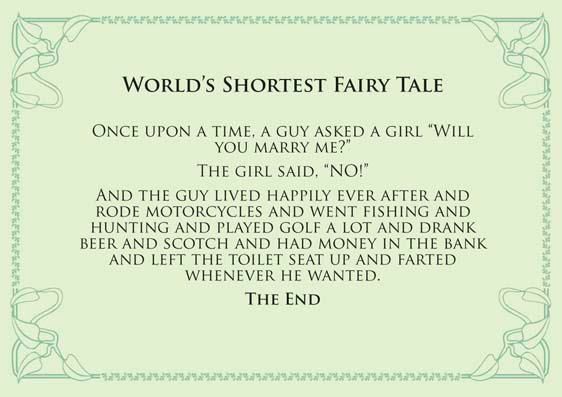 Nice tale – so true too. But we must continue to perpetuate the species however. Any bruises from your wife after that post? You are in serious trouble Pete. I can hear the screams now.